A moment before the afternoon news meeting was to begin yesterday, a colleague remarked that he had been reading The Old Editor Says and enjoying it. I replied that an eagle-eyed reader had just that day filed a comment listing a handful of typos and other errors in the text. My colleague started laughing and said to the group, "Of course! His readers are just like him." Well, my copy of TOES has finally arrived and has been read three times (what I tell you three times is true). p. 10: For "smok'em" read "smoke 'em"; likewise for "got'em" read "got 'em". p. 16: As I understand it, goat-chokers and thumbsuckers are different things, though related. 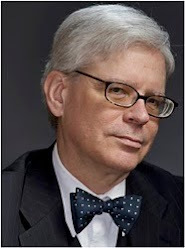 A goat-choker is stuffed full of irrelevant facts, whereas a thumbsucker is made up of dubiously informed opinions. Consumption of the former causes constipation; the latter, borborygmi. p. 22: "does not a have a tattoo" a has an article too many. p. 24: for "schelp" read "schlep", or better yet "shlep", as "sch" in Yiddish words is unnecessary. p. 27: "and will be done" makes "will" look like a verb. p. 39: Not monotype, monowidth. This is a pet peeve of mine. Monotype is an obsolete typesetting machine and the name of a type foundry. Courier, Consolas, Lucida Sans Mono, and Liberation Mono are monowidth fonts. p. 51: "Boasts"? You'd be down on that like a ton of bricks in anyone else's article. p. 53: I puzzled over "if not is used" for a bit until I realized that "not" should have been italicized. p. 55: You may know all about Charlie Stough, but the rest of us don't. A word or two of identification wouldn't kill you. p. 56: Even worse are the meetings where the actual decisions have already been made elsewhere. 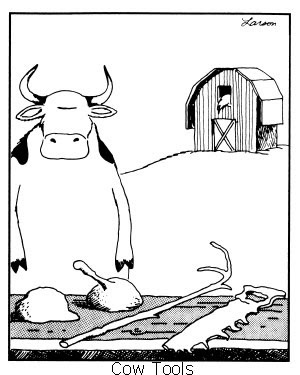 p. 58: Some tools, however, are unfit for their alleged purposes (if any: see Gary Larson's "cow tools"). And sometimes the squeaky wheel actually does get a little grease. p. 60: Well, no. Some of us edit as a sideline to our real jobs. p. 64: It's my view that the best way to oppose a stupid rule put forth by a prescriptivist is to become a prescriptivist: "No. That is not the rule. The rule is ..." It works better than sweet reason with people who are stuck on rules in the first place: they just want a rule, and if you give them one with sufficient authority, they'll accept it. p. 67: "Don't be so humble. You're not that great." —Golda Meir. But all that said: well done! But now they will be. I have forwarded half a dozen corrections to Apprentice House. They will be incorporated into the electronic text, and further copies will be correct as the printer produces them. Take care, though, that you do not discard the copy with errors in it. It may, in time, come to have some value, like those 1918 24-cent U.S. postage stamps with the airplane upside-down. ADDITIONALLY: Reader reactions to the book continue to come in. At Throw Grammar From the Train, Jan Freeman remarks that an evening with The Old Editor Says was preferable to an evening with the Oscars.